Congratulations! You made the sale. Time to break open the bubbles and celebrate. You may have done a great job of securing the deal, but that’s only the start of the story. Now it’s time to deliver on those promises. Customers don’t see the value in it. The best way to prevent either of these from happening is to continue the great experience you’ve delivered to this point. And the secret to continuing your success is through your customer onboarding process. Using a template as your ‘blueprint’ means your process for onboarding customers is consistent every time. With Process Bliss it’s easy to set up a customer onboarding template. All of this should be available from the details in the contract. Introduce key members of your team, point them to useful information they may need (e.g. support site), explain next steps, book date/time for kick-off. Set expectations, set relationship parameters, agree scope/deliverables, timescales. Ensuring the client is properly onboarded so they know how to use your product/service and are fully engaged with it. How are they getting on? Questions? Problems? How can we help with deeper engagement? E.g. Product updates and invitations to events. A basic template is enough to get you going, but you will want to add/delete steps to make the process fit your organisation. 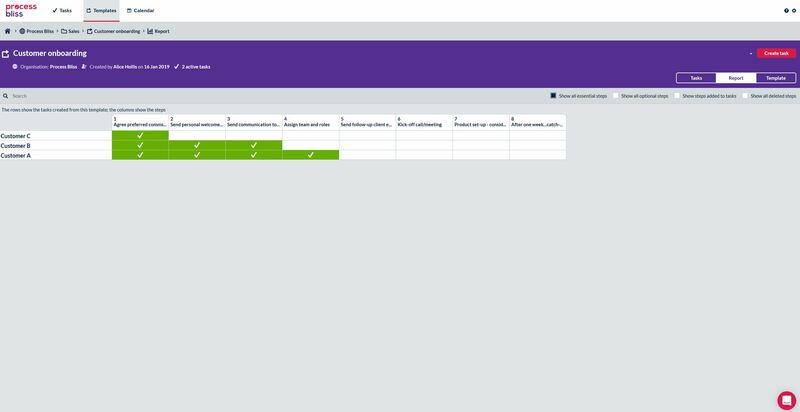 Process Bliss allows you to set up templates for the recurring processes in your business, such as customer onboarding, you then ‘run’ the process for each new client you take onboard. Steps within the process can be assigned to different people and given a due date. 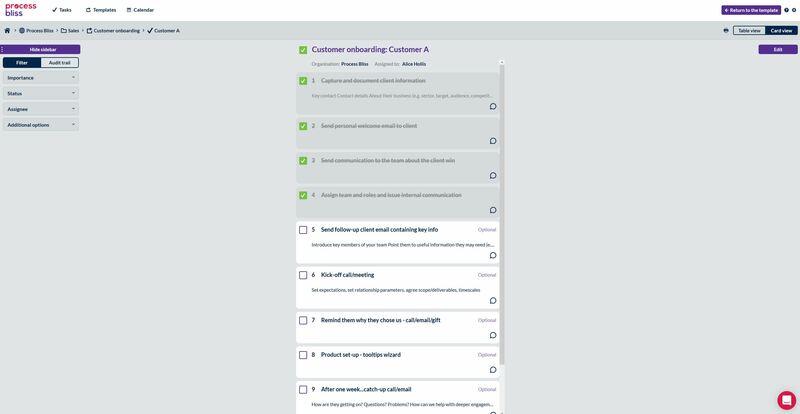 In the template report view, you can see exactly what stage in the onboarding process you are with each new customer. 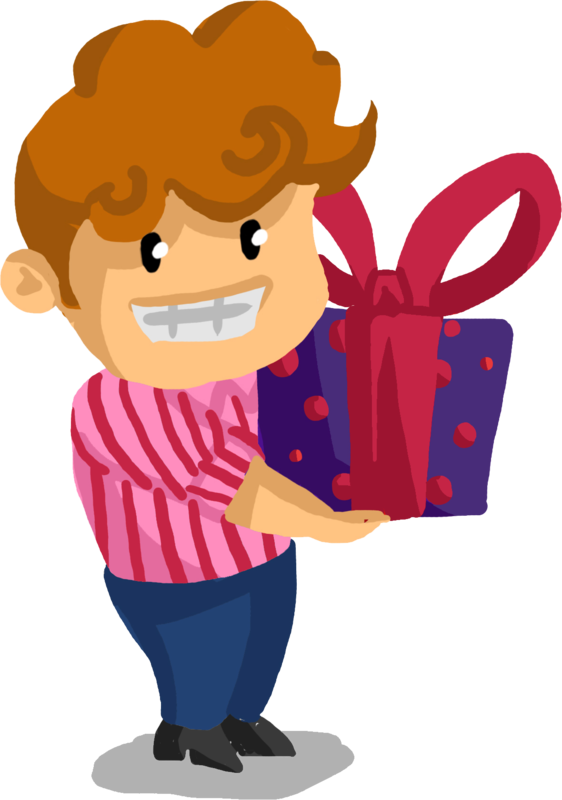 Why not set up a free account in Process Bliss and we’ll load the customer onboarding template for you? We can then help you customise it for use in your organisation. Process Bliss is free for 5 users forever with full functionality, what have you got to lose?